Project Management Institute (PMI) members looking to keep up with PMP credential learning requirements can choose from eighty-eight approved sessions. 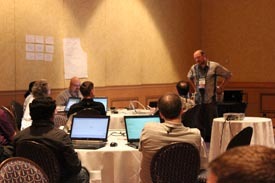 In six days, up to forty-three PDUs could be acquired at Agile Development & Better Software Conference West. Keep track of all presentations attended throughout the week. Report all PDUs earned by searching the exact session title in the CCRS (Continuing Certification Requirements System). For step-by-step instructions on how to claim PDUs in the CCRS, you can download an instructional PDF. You can also pick up a copy at the registration desk during the conference. If you would like more interactive instructions, you can click the image to the right. 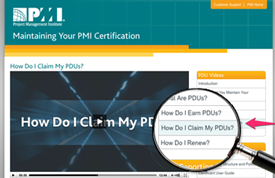 When the video starts, click the "How Do I Claim My PDUs?" section to the right. If you have any further questions, please feel free to contact Client Support at 888.268.8770, 904.278.0524, or [email protected]. 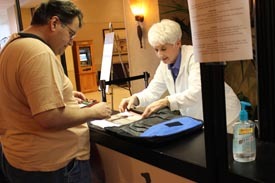 Reserve your stay by Tuesday May 8, 2015 to take advantage of the conference rate at Caesars Palace, Las Vegas, Nevada. 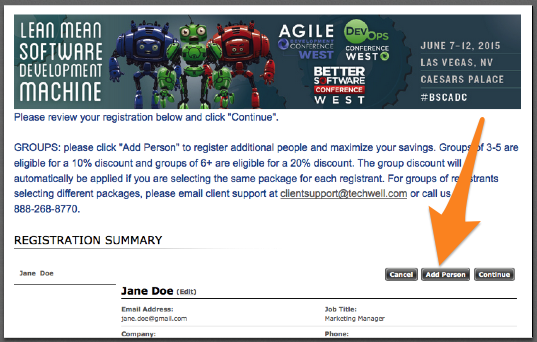 You may book your stay online or by calling 866.227.5944, and be sure to mention the Agile Development Conference. Also, for your convenience, we can easily make your hotel reservation for you when you register for the conference—whether online or on the phone at 888.268.8770 or 904.278.0524. See even more travel information on the hotel and travel page. 17. How can I contact Software Quality Engineering/TechWell?